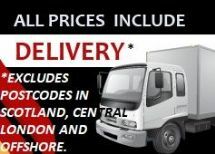 Prices include delivery to mainland UK. All offshore destinations, Central London & Scottish Postcodes will be subject to a delivery surcharge. Please contact us if you live in these areas BEFORE placing an order, otherwise we have the right to cancel your order - You will be notified and a full refund will be given. All Lorries carry a pallet truck for un-loading. Please remember that when they are carrying a pallet they will ONLY work on smooth and fairly level ground – concrete or tarmac are best. 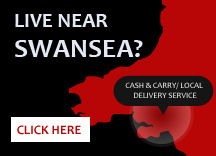 Carrier will ring you to book in a delivery. In the event of a customer agreeing to a delivery and then not being at home during the agreed time period, a redelivery charge of £15 per pallet may be made. Delivery drivers are not expected to manoeuvre the pallet beyond the rear of the vehicle but will always be as helpful as possible. Any delivery issues must be reported immediately to Supaheat Fuels. In the event of any dispute resulting in the goods being returned to Supaheat Fuels, payment will be refunded to the customer less all charges. Lead times may extend during busy periods or extreme weather - we will inform you of any delays ASAP.